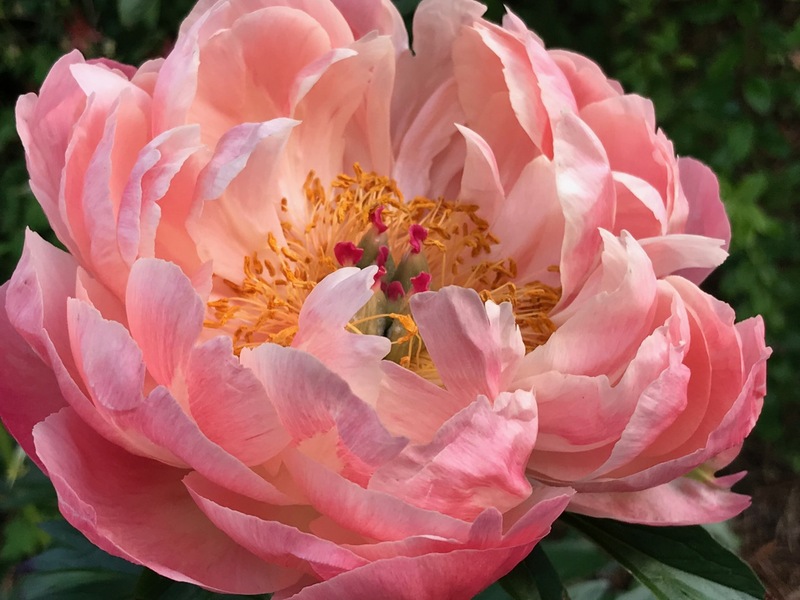 Exceptionally cold weather this winter seems to have invigorated the peonies—first to open is Coral Charm. Its magnificent show this spring is the inspiration for today’s design. 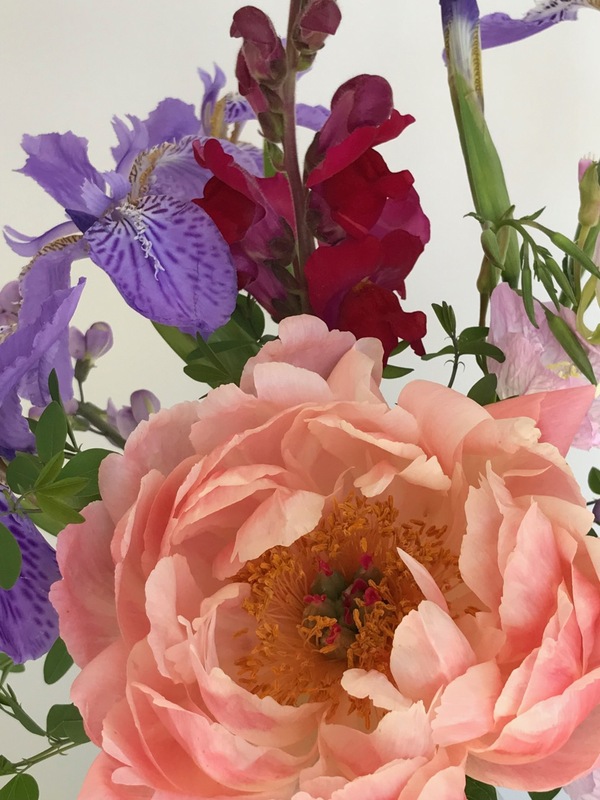 Planted in the western border May 2015, it has achieved six blooms this year. 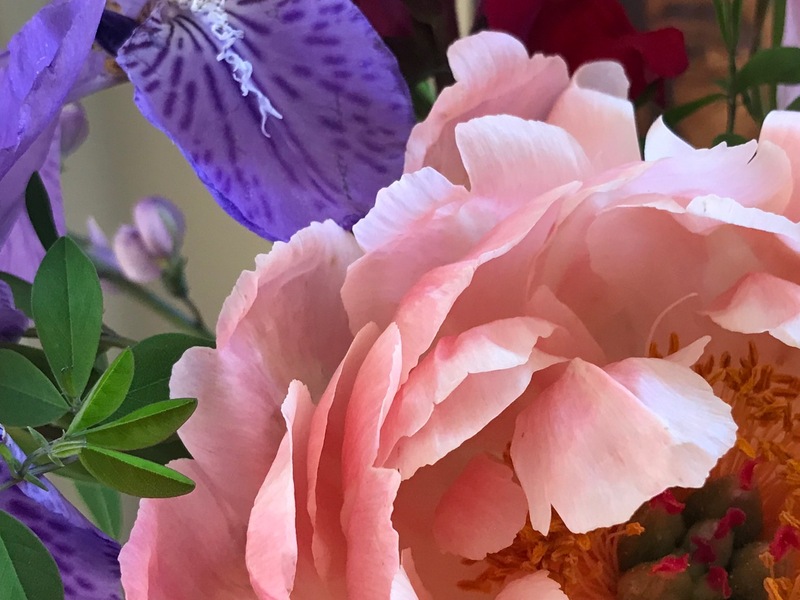 I selected the oldest of the blooms to cut. 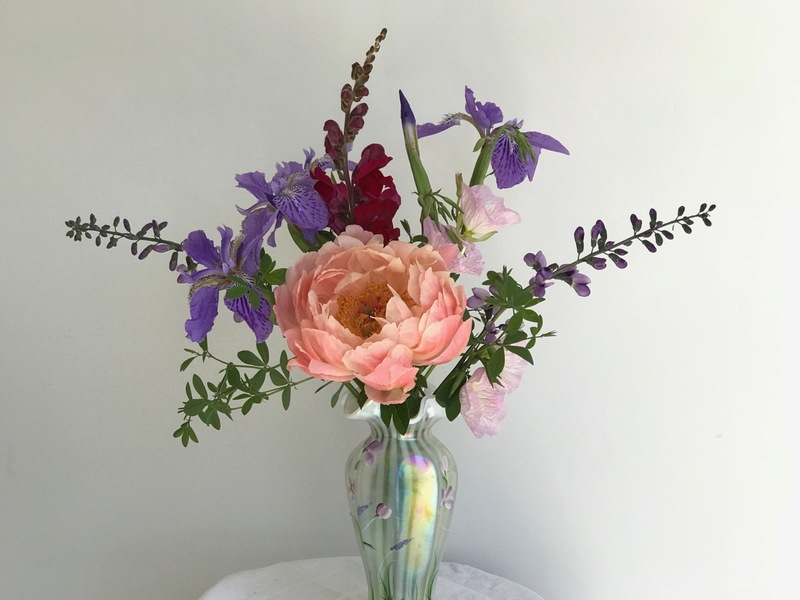 Usually I do not mind cutting anything from the garden for use indoors, but I did think twice about this one. 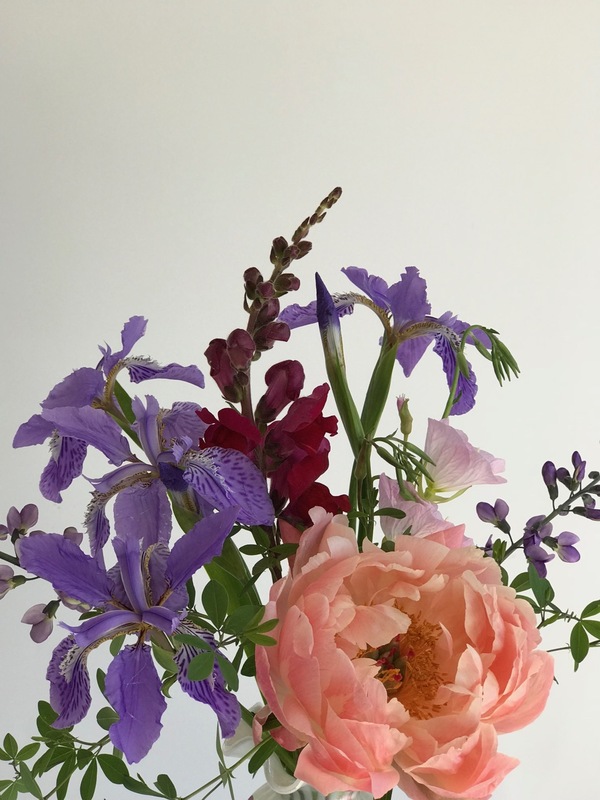 It was a busy week here with obligations that kept me away from my own garden, but I did manage a few hours of weeding and each day I explored to see what might be blooming. 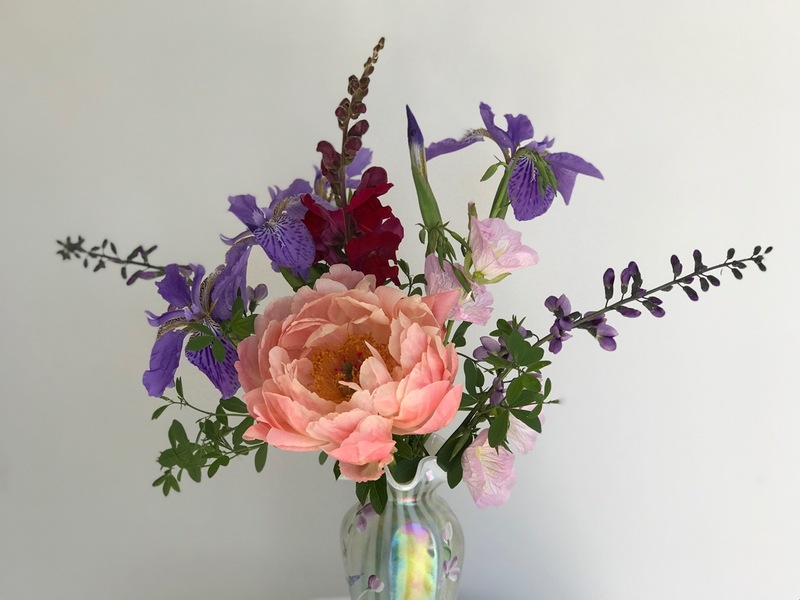 It was the kind of week when new flowers suddenly appeared, each with their unique charms. One such wonder, Baptisia ‘Purple Smoke,’ is just a lovely plant. 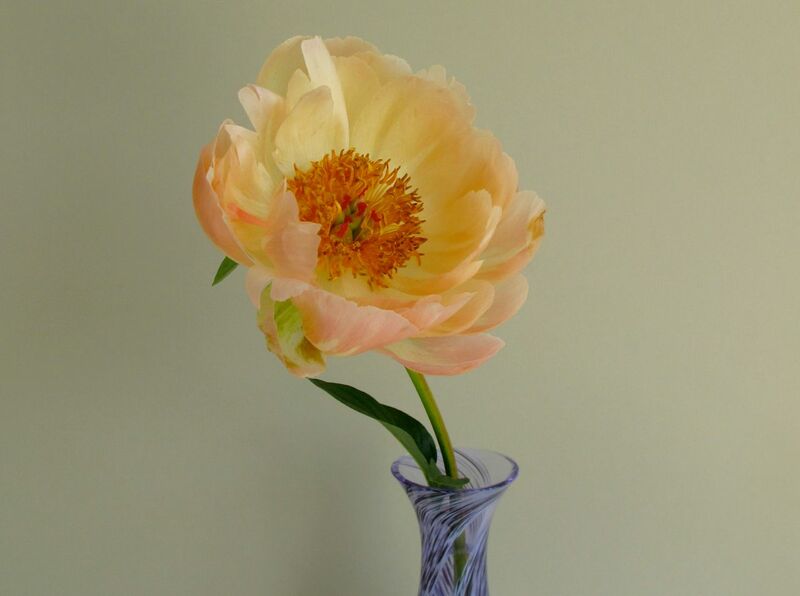 Its pea-like blossoms seemed ideal to include in today’s vase. Many kinds of iris are in bloom this week also. 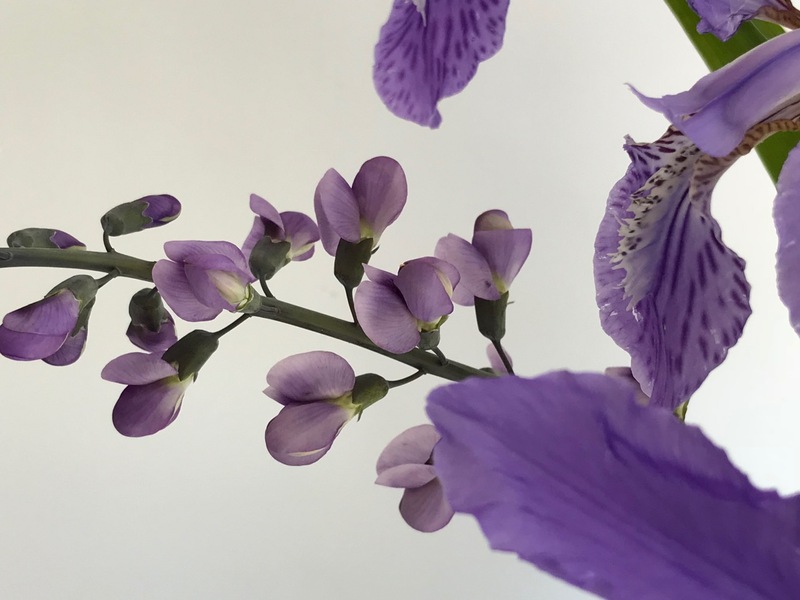 I chose Iris tectorum (Japanese Roof Iris) for the way it complements the baptisia, though its delicate demeanor enhances all the other flowers in fact. The gentle foliage belongs to the baptisia. 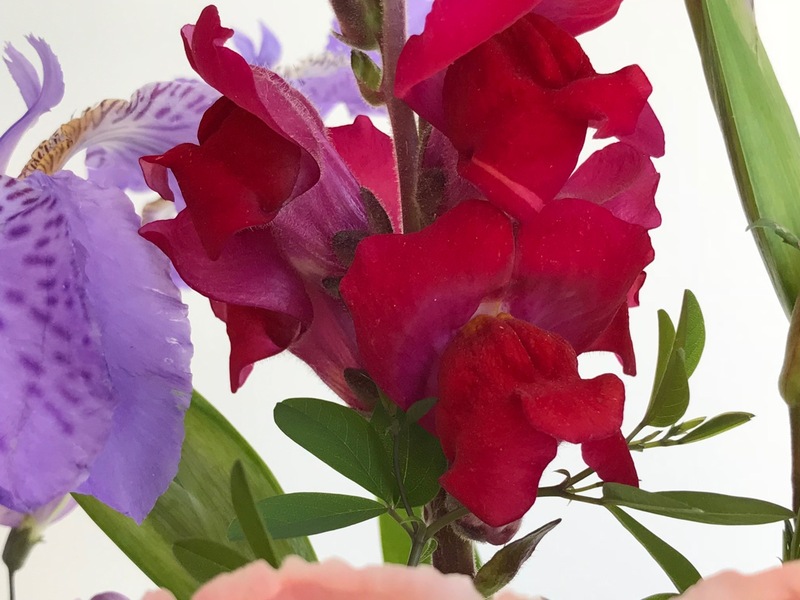 Snapdragons are slowly opening in the meditation circle where they have survived several years. I clipped one of their first blooms to add a bit of sass. 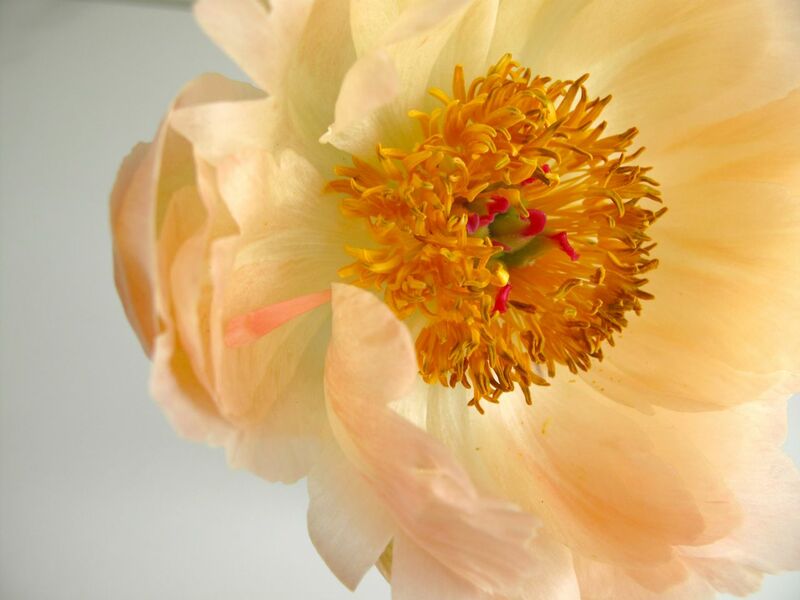 The deep red adds impact to the arrangement overall; the interior of the peony carries a red punch of its own. 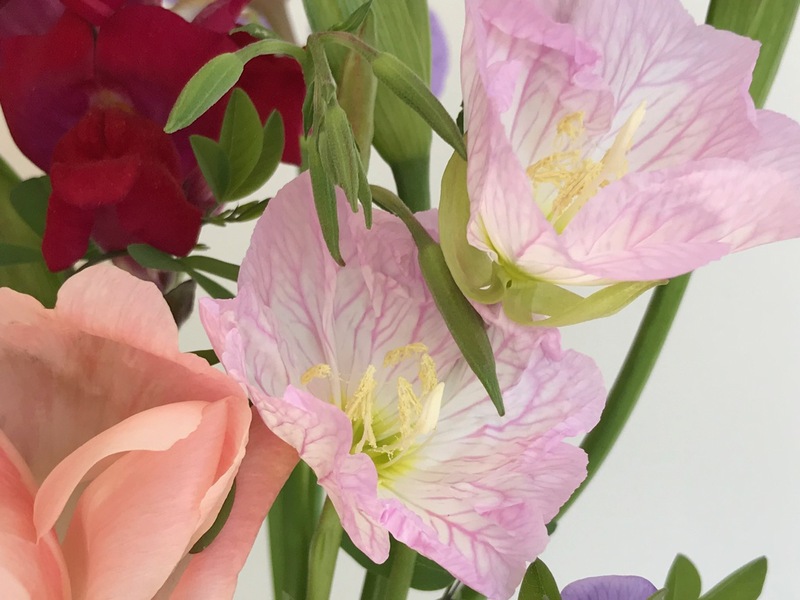 A stealthy come-along from a plant exchange a couple of years ago, Oenothera speciosa (Pink evening primrose) is deceptively pretty. After its showed up last spring I was warned last year this is a thug that deserves no mercy. It is in like-minded company–there is a waiting line of plants that need to be eradicated from this particular border where the Oenothera has made its home. What a dream it would be if these hard-hitters could compete with each other so aggressively all could be kept in check. Meanwhile the oenothera has to earn its keep by participating in Monday’s vase. 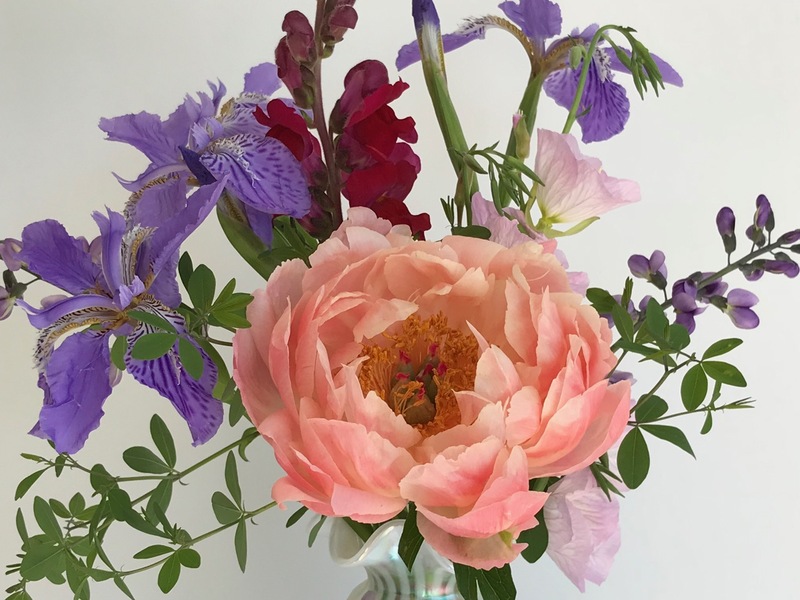 This entry was posted in garden and tagged 2018vase, Antirrhinum majus (Snapdragon), Baptisia 'Purple Smoke', flower arranging, flower design, in a vase on monday, Iris tectorum (Japanese Roof Iris), nature photography, Paeonia lactiflora 'Coral Charm' (Coral Charm Peony) on April 30, 2018 by pbmgarden. 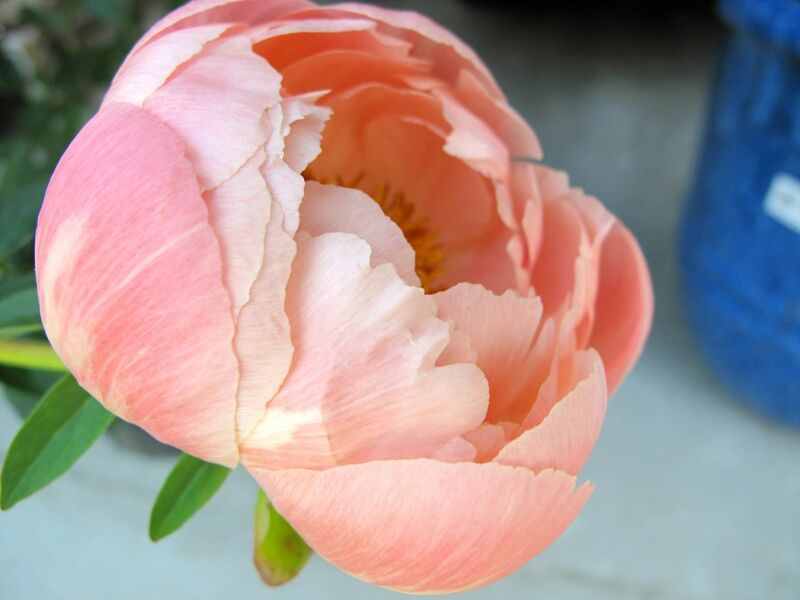 I planted a new peony yesterday in the western border, Paeonia lactiflora ‘Coral Charm’ (Coral Charm Peony). It had one open flower on it which I removed and brought indoors to enjoy. 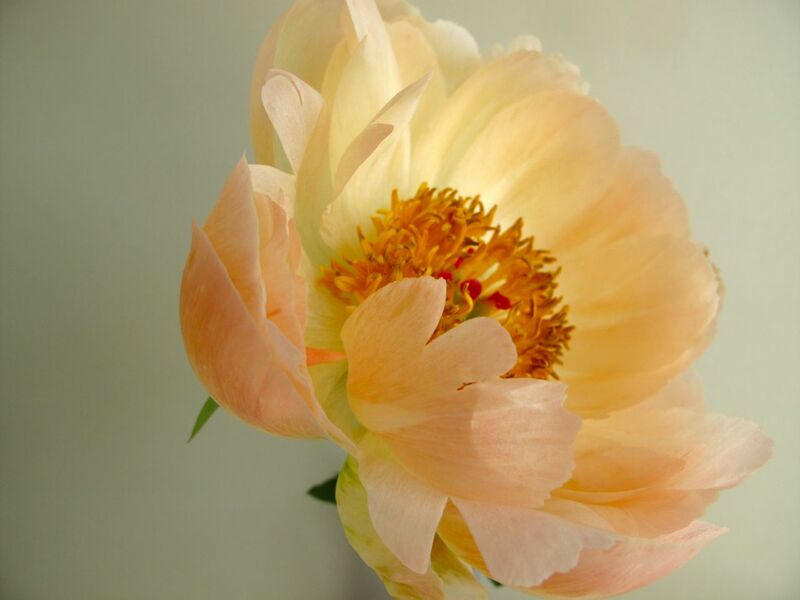 By today the blossom had opened wide and the color had softened. 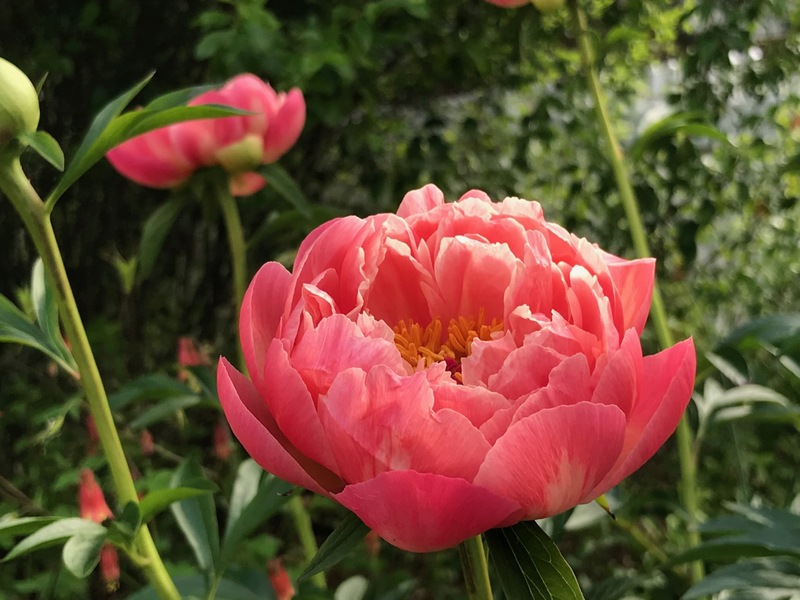 This entry was posted in garden and tagged Paeonia lactiflora 'Coral Charm' (Coral Charm Peony), peony on May 6, 2015 by pbmgarden.